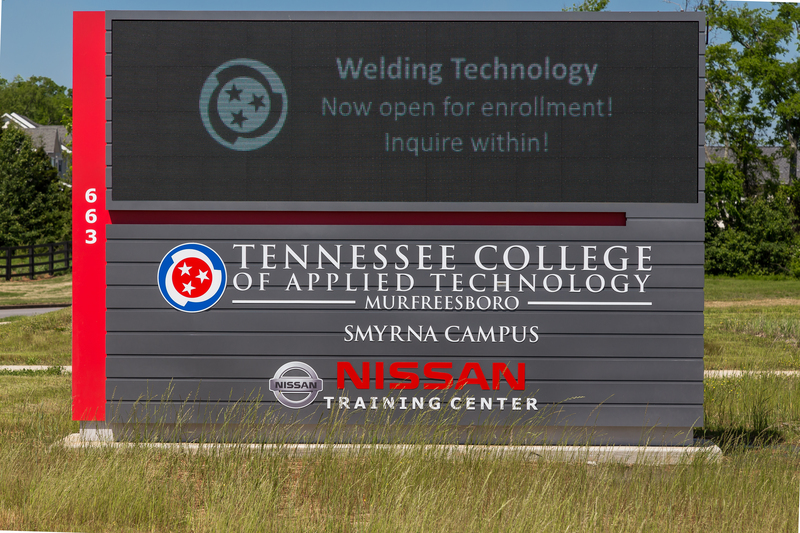 LEWISVILLE, Texas, November 30, 2017 – The newly opened Tennessee College of Applied Technology (TCAT) Smyrna Campus and Nissan Training Center was built on the fundamentals of both higher education and business, with the goal of closing the gap in the supply and future demand of a highly skilled workforce in the fields of science, technology, engineering and math. 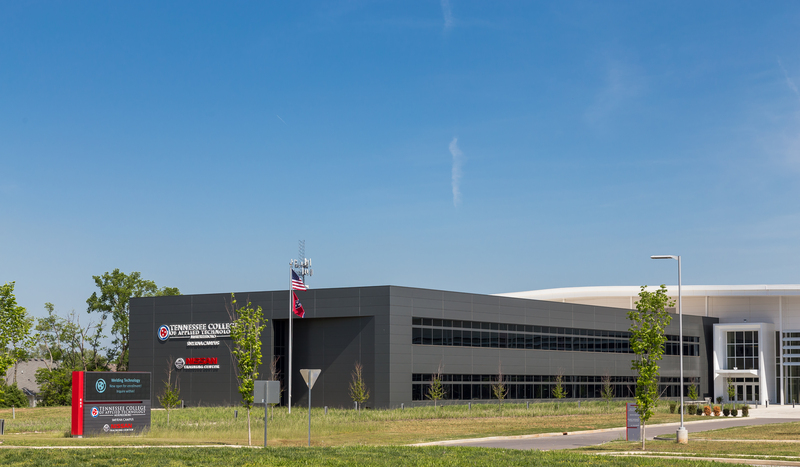 The exterior of the 155,000-square-foot training center implements a high-performance building envelope featuring Metl-Span insulated metal panels — the perfect complement to the advanced technology and modern amenities within the walls. 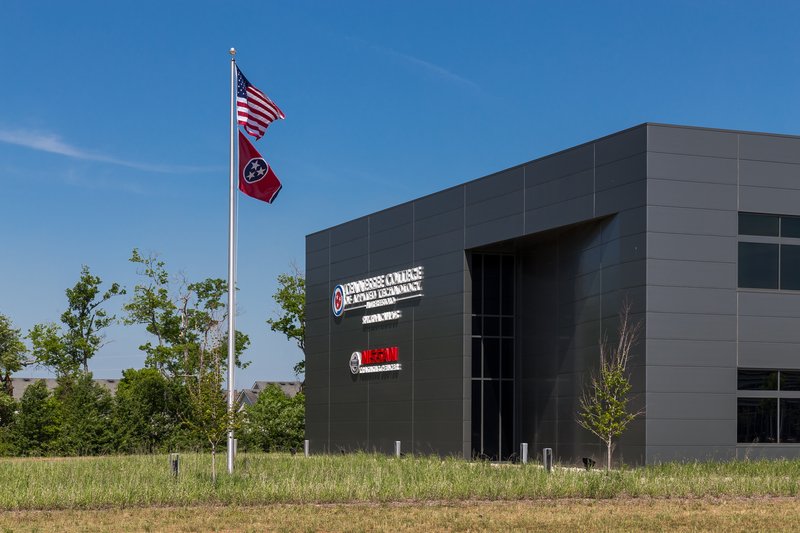 Located in a hotbed of industrial growth, the $35 million facility is the brainchild of a groundbreaking partnership between the state of Tennessee and Nissan of America. 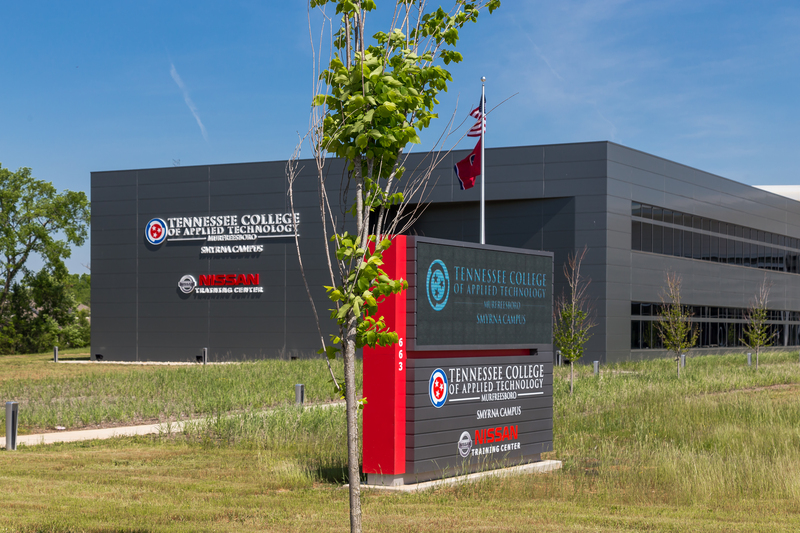 The multinational automobile manufacturer, headquartered in nearby Franklin, Tenn., will utilize the center for technical training for its employees and suppliers. With its state-of-the-art robotics lab and training stations for nearly every component of a modern automobile, the project is a “model of excellence for advanced manufacturing,” according to Nissan's Kevin Smith, technical training manager. Students at the public institution will gain manufacturing experience through classes such as automotive technology, industrial electrical maintenance, machine tool technology and welding, learning valuable skills that can be directly applied in the workforce, whether at Nissan’s nearby plant or with other employers in the region. Hart took into account the facility’s dual purpose for the end design. “From the building’s sleek roof to its glass and metal envelope, many architectural elements are suggestive of the forms, materials and techniques often found in automotive design,” Hart noted. 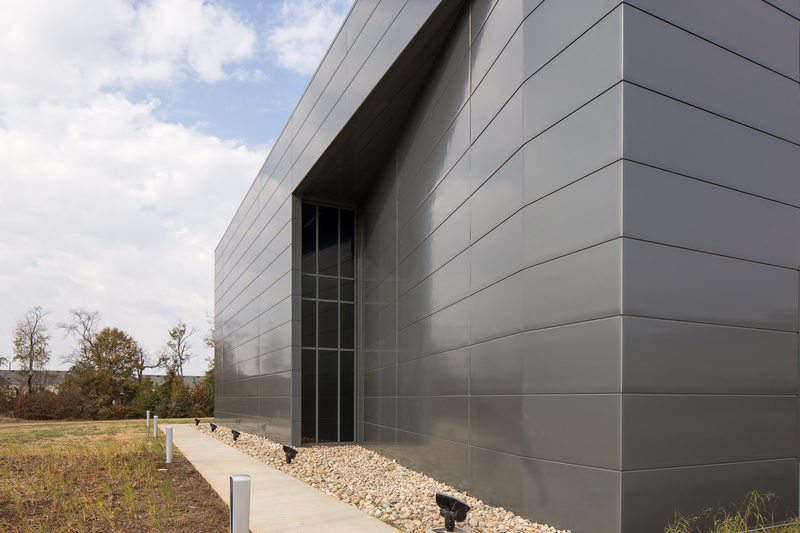 Insulated metal panels were the ideal building product to meet the complex aesthetic design goals and requirements for “desired performance, cost and schedule,” according to Hart. In total the TCAT Nissan Training Center utilizes over 54,000 square feet of 22/24 gauge Metl-Span CF30 Architectural Flat IMPs. The smooth profile is ideally suited for designers seeking a monolithic architectural façade without sacrificing thermal and moisture performance. The beautiful, flush panels have become a mainstay in a number of high-end architectural markets including higher education. IMPs offer multiple aesthetic design options such as mitered panel edges, superior flatness, and a vast array of profiles, textures and reveal configurations. The architectural team from Tuck-Hinton specified multiple colors. 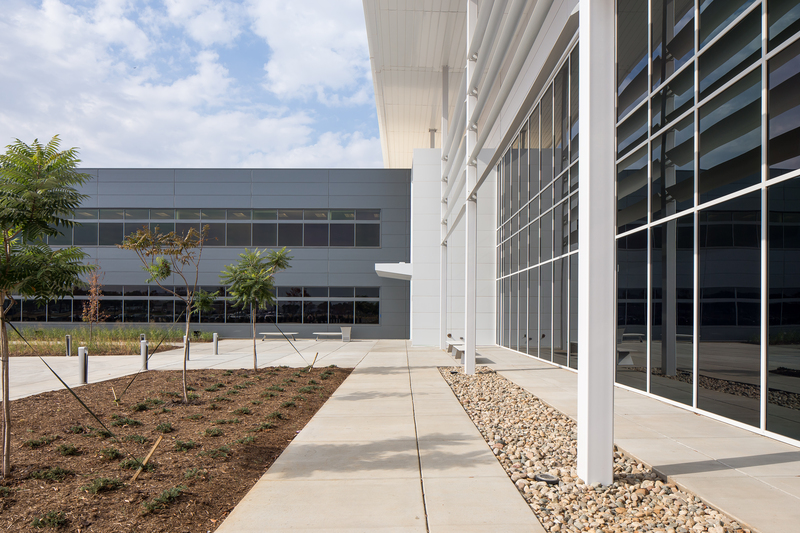 Over 24,000 square feet of IMPs in the bold, distinct Gotham Silver finish provide an exceptional accent color to the gleaming Regal White panels, which total 30,000 square feet and make up most of the building envelope. The flat panels integrate seamlessly with windows for a modern, dynamic façade. “The building’s intersecting forms are distinct not just in color, but also in their geometry and their articulation in response to site orientation,” Hart said. “The lab/training form is designed as a white box capped with a sloping, curved roof whose height is expressive of the high-bay space within. The building team also took advantage of the IMP's painted interior skin in siliconized polyester Winter White. The high-performance coating provides more than a modern, clean backdrop to the facility's technical training and operations; polyester coatings provide exceptional fade, chalking and scratch resistance. Designers specified Metl-Span IMPs in both 2- and 3-inch thicknesses. The innovative CF Architectural Flat profile is available in thicknesses up to 4 inches to tailor thermal performance to meet even the most demanding environmental or sustainability requirements. The Metl-Span CF Architectural IMP system provides exceptional thermal performance in the form of polyurethane foam insulation. The panels provide thermal efficiency and all-weather control in a single component. The highly efficient insulation delivers an added advantage by minimizing building energy usage and construction costs. 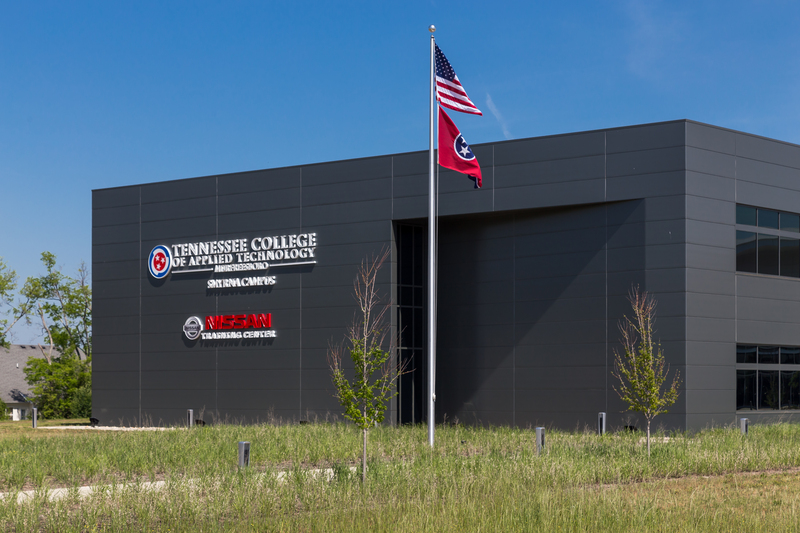 The TCAT Nissan Research Center opened its doors in the spring of 2017 to great success. According to Hart, the flagship facility was designed as a brand new model for developing a local skilled labor force with support and investment from the private sector, and the benefits impact not only the local community but the industry at large. “A high level of visibility was desired to inspire and excite potential students, in addition to exhibit the potential for what other facilities of this type could achieve throughout the state,” Hart said.